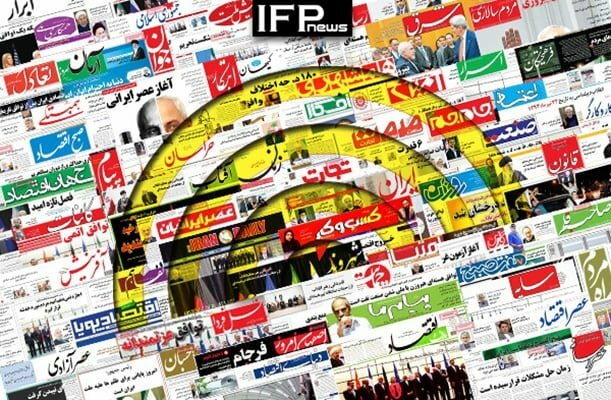 IFP has taken a look at the front pages of Iranian newspapers on Saturday, November 3, 2018, and picked headlines from 14 of them. IFP has simply translated the headlines and does not vouch for their accuracy. The top story in all papers today was the re-imposition of US sanctions on Iran, which will take effect on Monday, November 5. Several papers covered a joint statement by the European Union, France, the UK, and Germany, in which they condemned the new US sanctions and vowed to protect European companies doing business with Tehran. Donald Trump’s decision to grant waivers to eight customers of Iran’s crude oil also received great coverage, as they account for a lion’s share of Iran’s crude exports, and that will make the oil sanctions irrelevant. 1- When Yalda Night Is Forgotten, Replaced by Halloween! Hardliner Says He Won’t See Persian New Year! 2- Washington Post to Westerners: Would You Take Same Action against Saudis with Standards of Dealing with Iran? 1- US’ Oil Sanctions Fail: You Saw US Can’t Do a Damn Thing! 3- Trump Reinstates Sanctions that Had Not Been Removed in First Place!